This gallery features various invertebrates I have seen primarily around central Florida, but some are from elsewhere. All subjects are photographed in-situ in nature unless stated otherwise. 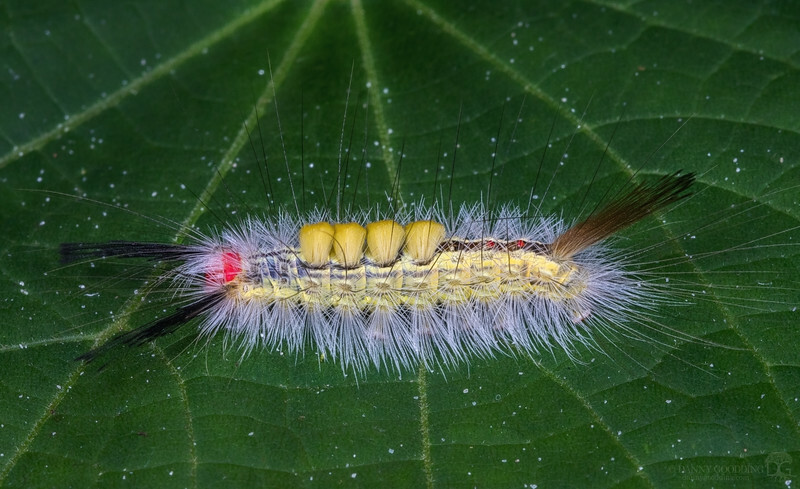 This is a white-marked tussock moth caterpillar (Orgyia leucostigma). The adult moth is cryptic and "dull" colors, but the larvae sure are colorful and showy! The bright coloration is a warning to potential predators (or curious humans) that they can pack a punch when touched. People commonly have mild to severe allergic reactions if the hairs contact sensitive skin.